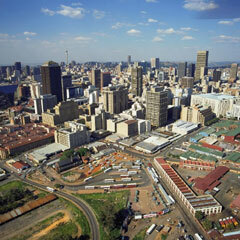 Once again Nationwide Airline are offering the cheapest flight from Cape Town to Johannesburg. Nationwide are charging R511 for flight 739 leaving Cape Town at 1925 and arriving in Johannesburg at 2125. Nationwide Airline also offered the cheapest flight in last week's survey of flights from Durban to Johannesburg, at R315. Way to go Nationwide! We love your low prices. (Kulula and 1Time have been vocal about Mango airlines undercutting them at the taxpayer's expense. The fact that Mango Airlines is the only one which has sold out all its tickets adds fuel to the argument that they're not pricing in a way that makes business sense. A few people would have done quite well out of this, but the end result is that we have one airline which isn't competing at the moment because all its tickets are sold. We surveyed prices of flights from London to Johannesburg, and Iberia was the cheapest with KLM (Royal Dutch Airlines) and Ethiopian Airlines close behind. The flights from London left around the 15th Nov and returned from Johannesburg around the 6th December. EY600 leaves Abu Dhabi at 0225 and arrives in Johannesburg at 0820 daily. On Mondays, Wednesdays, Thursdays and Fridays EY601 leaves Johannesburg Airport at 1025 and arrives in Abu Dhabi at 2010. On Tuesdays EY601 leaves Johannesburg Airport at 1040 and arrives in Abu Dhabi at 2025. On Saturdays EY601 leavesm Johannesburg at 1105 and arrives in Abu Dhabi at 2050pm. On Sundays EY601 leaves Johannesburg at 1030 and arrives in Abu Dhabi at 2015. Let's hope the increase in flights doesn't result in more South Africans getting the Raiza Rasool treatment in Abu Dhabi. As a new element to our weekly newsletter, we've decided to expose our favourite travel blog entry. These will not necessarily be traditional holiday travel blogs - as proof, our first entry into this category goes to the Eishman, a well known South African blogger living in Cape Town. In this short piece, the Eishman shares his mashup recipe for staying awake on the drive from Cape Town Airport to his home, after a late-night flight. We are now covering flights from Mombasa to Cape Town. Can airline tickets be tax deductible? Caveat - we're not tax experts so consult your tax advisor before implementing the following! To our knowledge expenses incurred in the production of income can be deducted from that income before tax is calculated on the net income - and said expenses should include travel expenses incurred in the production of income. For example, if you fly to Cape Town to check on repairs on a property you are letting, then it is a tax deductible expense. What often occurs is that trips are combined with holidays. SARS could therefore assess that only 50 per cent of the cost of the ticket was in the production of income. Of course if there is no tenant currently in your property then the cost of the flight is of a capital nature, and could be written off against any capital gains on selling the property. Flight prices from London to Paris have skyrocketed since last week, but Easyjet still offers the cheapest flight from London to Paris. We also investigated prices of busses and trains - and National Express busses are a bit cheaper than Easyjet (and probably get you closer to where you want to be). Not much is known about it, but the Phillipines are in the process of launching a new airline called Pacific Pearl Airways. Emirates flights into Germany may be capped to 63 a week by the German government, who are concerned that Emirates may be impacing on Lufthansa's profitability. In our experience, Emirates flights are often the cheapest. Last week Qatar Airways was in the news for offering the cheapest flights from London to Cape Town. This week we have had a packed British Airways flight from Italy being held up for hours, when an oil-soaked Qatari emir took umbrage at his 3 princesses being seated next to men they did not know. Angry passengers clapped and whistled until the ladies were escorted off the plane. The flight was from Milan to London (Heathrow). We are now covering flights from Manchester to Edinburgh. 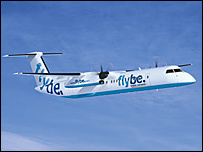 While on the topic of flights from Manchester to Edinburgh, a Flybe Bombardier Q400 had to do an emergency landing at Edinburgh Airport last week, when one of its turboprop engines had to be switched off. 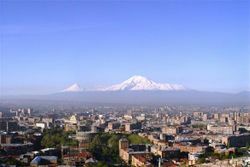 Keeping on the less travelled routes, we have also added coverage of flights from Birmingham to Edinburgh, and flights from London to Yerevan (the capital of Armenia). We also had a look at one of the more travelled roads, and we now list the airlines operating flights from London to Boston.